The DC 1400 is used with the PG 280 Surface Grinder for wet and dry applications. 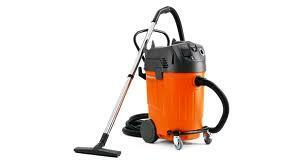 It is a compact, lightweight and extremely versatile dust collection unit that is perfect for smaller jobs. Includes an 8 ft. long hose and multi adapter for easy connection to PG 400, PG 280, K3000 VAC and DM 220. * Please call us for any questions on our concrete vacuum 20gal rentals in Kokomo IN, Logansport, and Central Indiana.